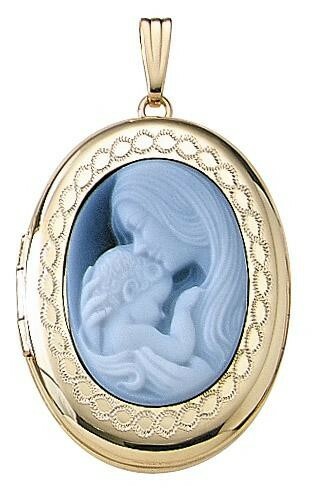 This serene and beautiful 14K gold locket features a genuine agate cameo. This locket is packaged with a 20" chain. 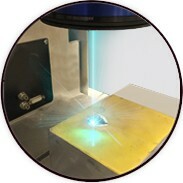 It holds 1 or possibly two pictures and comes with a lifetime warranty. Measuring 1 1/8" tall and 7/8" across. Proudly made in the USA. 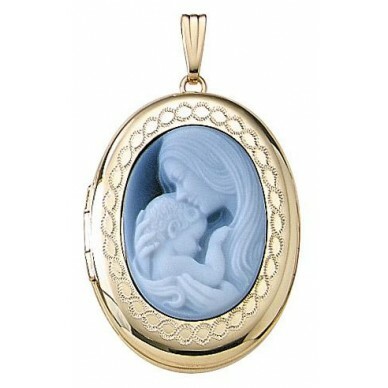 This serene and beautiful 14K gold locket features a genuine agate cameo and matching 14K gold 20" chain.